After our award-winning debut production Crocodile, we wanted to start 2018 with a bang. So, we've teamed up with some fantastic collaborators to bring 3 wildly different plays, all bursting with energy, to VAULT Festival 2018. 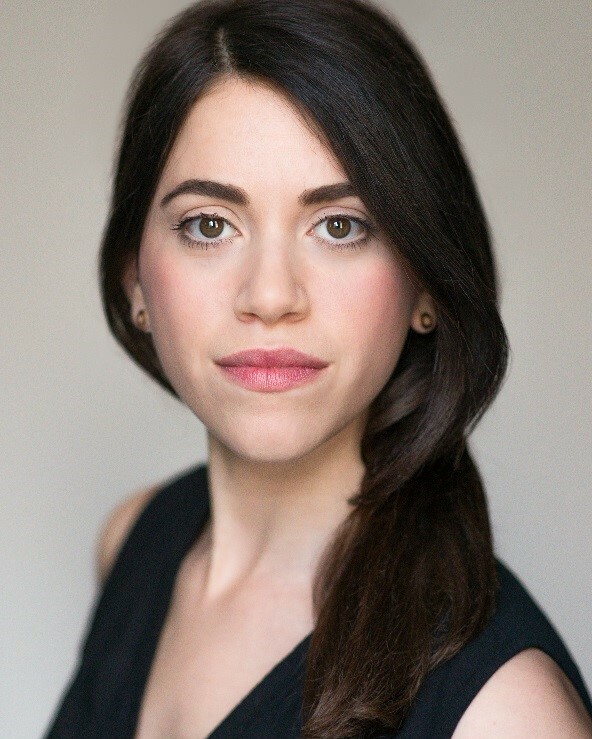 We are presenting them as a celebration of new voices in theatre that we cannot wait to share with audiences. You can find out more about each play and buy tickets below. Check back soon for more updates - including casting announcements. 'See Al, a black hole is a big scary thing, and it's tough when you're in one. But what you can do then, folks would sell out Yankee Stadium to see'. Tiger is a brand new dark comedy about grief, love, second chances, cheesecake, and a woman whose best friend is a man dressed as a tiger. 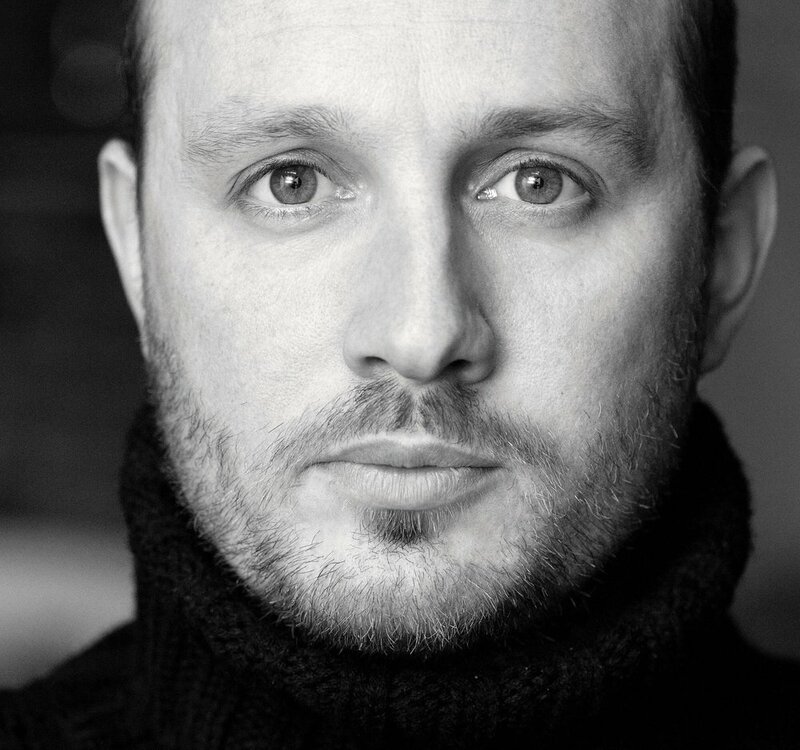 Joyous Gard, with the support of English Touring Theatre, is proud to present the new play by Joe Eyre (Crocodile, Highly Commended Winner, VAULT '17), directed by Will Maynard (Blavatsky's Tower, Baron's Court Theatre). Tiger runs at the Network Theatre, 14-18 February 2018 at 19.45, with a matinée on 18 February 2018 at 15.15. Tickets: £14.50. A limited number of 2-for-1 tickets available for 14 February, 15 February and 18 February. This new piece from Abi Zakarian (Fabric, Fringe First Winner 2016) and directed by Rafaella Marcus (JMK Award Finalist), is an angry riot play-performance-art-protest-dream-thing staged by women who are stuck on the business of being women but are quite worried about getting it wrong, actually; a funny, messy, fierce go at turning up and yelling really loud with a great soundtrack. 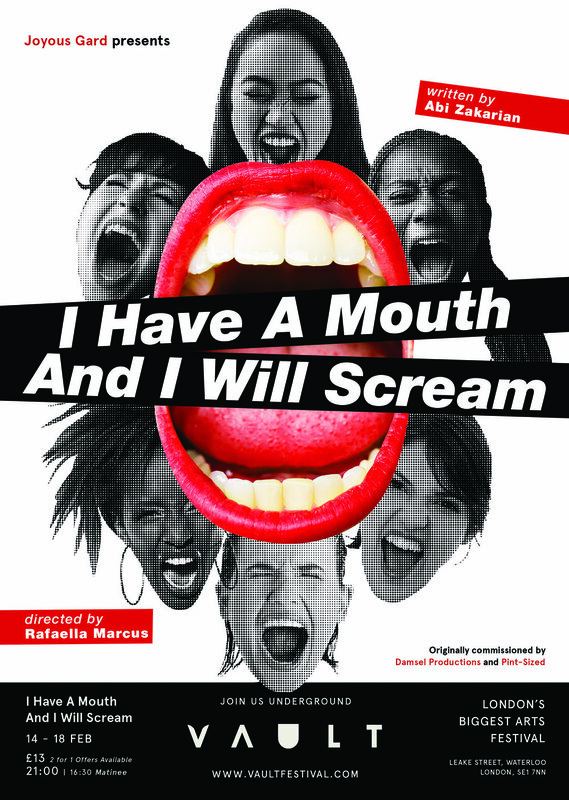 Originating as a short play commissioned by Damsel Productions and Pint-Sized, and now presented in its entirety for the first time, I Have A Mouth And I Will Scream is a fascinating piece of sharp, foul-mouthed new writing that plays form as much as it plays with gender roles. I Have A Mouth And I Will Scream runs in the Cavern, 14-18 February at 21.00, with a matinée on 17 February at 16.30. Yvonne and Susan don't know what to expect when their best friend invites them to a meeting in her cellar. But when Annette claims her perfect husband is planning to kill her, they find themselves drawn into a tangled web of rash accusation and rising panic. 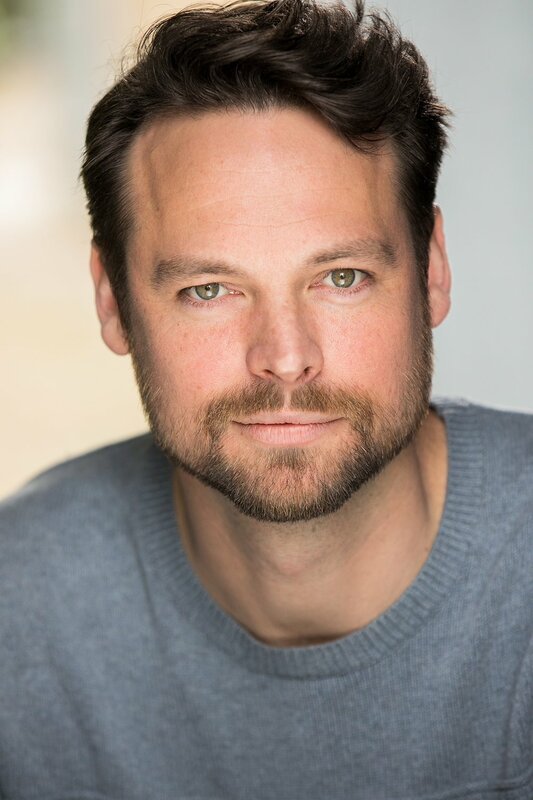 Written by Offie-nominated playwright David K. Barnes (Birthday Suit, Wooden Overcoats) and Michael Milne, and directed by Rafaella Marcus, Timothy is a tense black comedy that will keep you guessing. 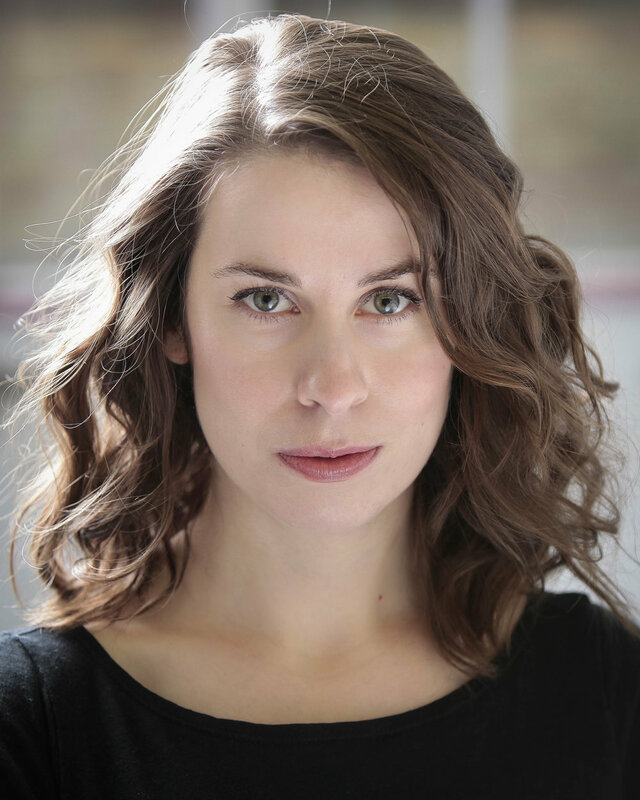 Timothy is a co-production between Joyous Gard and Snatchback, a new company committed to improving representation of women on stage and in audio drama, created by Beth Eyre (Best Actress in an Ensemble Role, Wooden Overcoats, Audio Verse Awards 2017). Timothy runs in the Studio, 14-18 March at 18.00, with a matinée on 17 March at 15.00. Tickets: £14.50. A limited number of 2-for-1 tickets available for 14 March, 15 March and 18 March.